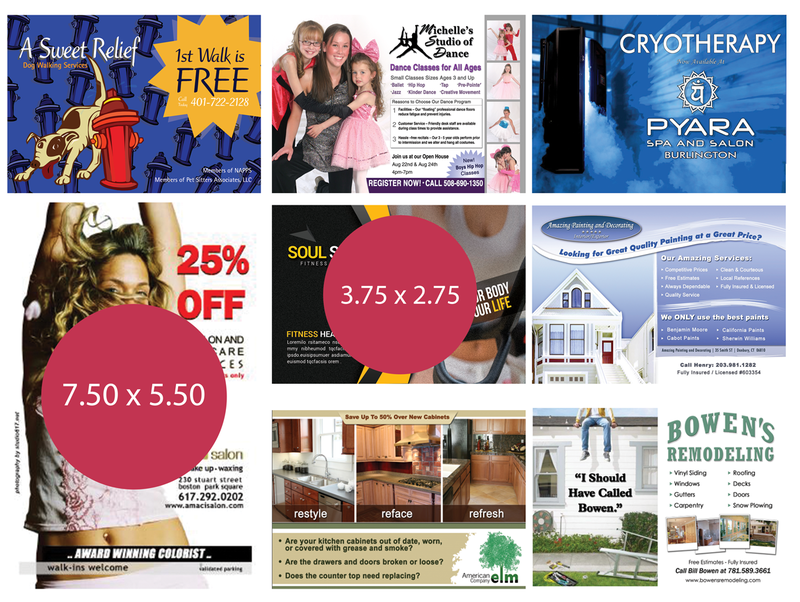 Our massive 9″ x 12″ billboard style postcards allow local businesses to share the costs of printing, postage, and design to get their ads in front of more customers at a significantly lower cost than solo mailings. 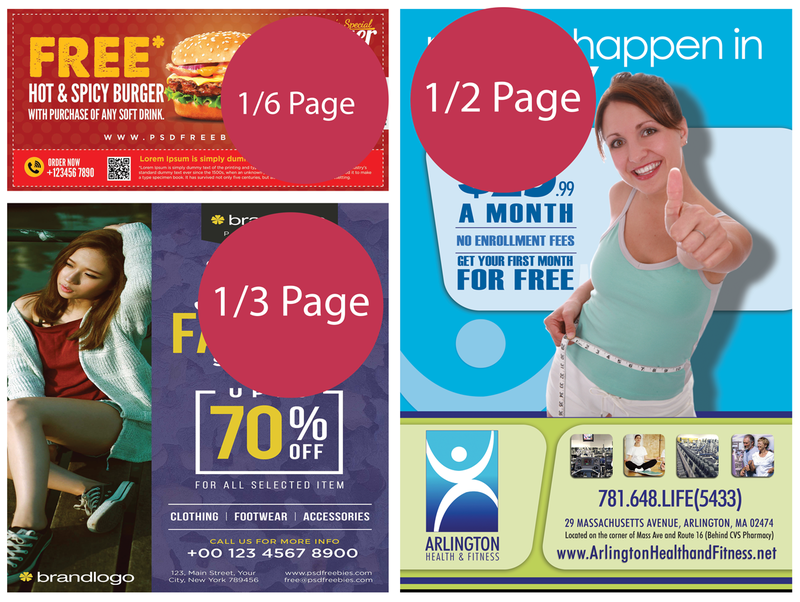 And unlike other co-op print directories or coupon books, our postcard provides cover page exposure and business type exclusivity. That’s right, we won’t put any competitors on the card. Simply put, you’ll get more exposure and better visibility to your message so it gets read and doesn’t get lost among a slew of redundant, stale and worse yet—competitor offers. Each postcard is mailed to 10,000 addresses that are strategically defined to ensure appropriate targeting with each mail piece and your marketing message. Our mailing zones our defined by zip code, neighborhood, and demographic criteria such as household income and property value. Dominate the market with business type exclusivity. With only 12 to 16 businesses on each postcard, we simply won’t allow your competitors on the same card or mailing. No competition means that your ad gets more attention, better response, and you get more business. With your advertisement on the cover of our massive billboard style postcard, your message gets massive exposure and 100% visibility. Ad placement is crucial to exposure and our postcard ensures your ad gets seen by more potential customers. No pages, envelopes, or competitors means more visibility and more exposure for you and that means more business for you. We review your existing advertising, its costs, and provide suggestions for improvement. We’ll help you to track and measure the results of your advertising to improve your advertising and reduce your costs. Finally, we’ll help you to craft direct response ads and improve your brand advertising. Effective postcard direct mail advertising has never been more affordable. You get high quality cover page exposure for pennies per address. Printing, design, postage, and delivery are all included for one very affordable price.